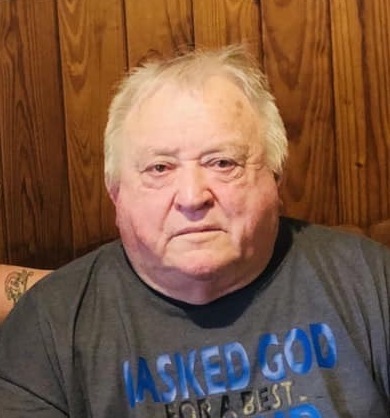 Obituary for Curnis Joseph ""Nookie"" Suire Sr.
Services will be held on Saturday, October 20, 2018 at 2:00 P.M. in the Duhon Funeral Home Chapel in Crowley for Curnis J. “Nookie” Suire, Sr. who passed away on Wednesday, October 17, 2018 at 6:45 P.M. at The Acadia General Hospital in Crowley surrounded by his family. Pastor Berl Adams, Pastor of the First Baptist Church in Church Point will be officiating for the services. Burial will be held in Woodlawn Cemetery in Crowley. The family has requested the visitation to be held on Friday, October 19, 2018 at 11:00 A.M. until 8:00 P.M. in the Duhon Funeral Home Chapel in Crowley. Visitation will resume on Saturday, October 20, 2018 at 8:00 A.M. until time of services. Survivors include his wife of fifty nine years, Loretta Hargrave Suire of Crowley; one son, Curnis “Jr.” and wife, Helen Suire of Crowley; five daughters, Renatta “Yan” DeVille of Crowley, Jacqueline “Jackie” Kibodeaux of Crowley, Shronda “Ron” Suire of Crowley, Angela and husband Richard Clanton of Alexandria, Josalyn Suire of Crowley; one step daughter, Trista Suire of Crowley; one step son, Kerwin Lavergne of Crowley; one brother, Ricky Suire of Crowley; one sister, Sandra and husband, Lawrence Hanks of Crowley; fifteen grandchildren and twenty four great-grandchildren; his loyal pet, Mz. Wrinkle. Pallbearers for the services will be Shane Suire, Robert Suire, Bradley Suire, Richard Clanton, John Guillory and Mike Hunt. Mr. Suire was preceded in death by two great-grandchildren, Laila Schexnider and Lincoln Guillory; his parents, Victor and Ruth F. Suire; two brothers, Montgomery “Buddy” Suire and Abby Suire; two son-in-laws, Robert Kibodeaux and Donald DeVille; one niece, Vickie Suire. You may view the obituary, sign the guest registry and express condolences online to Mr. Suire’s family at www.duhonfuneralhome.com. We encourage you to share any memorable photos or stories about Curnis. All tributes placed on and purchased through this memorial website will remain on in perpetuity for future generations. My very deepest Condolences to the entire Suire Family. Nookie was always so nice to be when I was young. Jackie and I have become very close and I love her like a Sister. I went to see him at the hospital while I was there, but I didn’t get to talk to him. Rest well my friend.